Accueil Bande originale Paroles Chansons Why not – Paroles de la chanson dans “Lizzie McGuire, le film”. 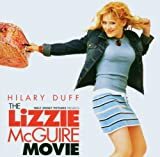 Why not – Paroles de la chanson dans “Lizzie McGuire, le film”. Paroles : Charlie Midnight et Matthew Gerrard. You think you’re going nowhere. When you’re walking down the street. You’re acting like you just don’t care. When life can be so sweet. Why you wanna be like that ? ‘Cause if there’s nothing new. You’re not fooling no one. You’re not even fooling you. So walk a little slower. Sometimes it’s so hard to see. The good things passing by. There may never be a sign. Telling you to make your move. Or when the time is right. If you lose the moment. You may lose a lot. Why not take a crazy chance ? You always dress in yellow. When you wanna dress in gold. Instead of listening to your heart. You do just what you’re told. You keep waiting where you are. Let’s just get into your car. I could be the one for you. It could be the thing to do. You’ll never get to heaven. If you don’t believe there’s a way. Take a star from the sky. It may take a little. Or it might take a lot. If you lose a moment. You might lose a lot.